Sarah Nader - snader@shawmedia.com Huntley's Carter Beaudette runs pass Stevenson's Ryan Greenbury during the first quarter of Friday's Class 8A playoff football game in Lincolnshire Oct. 28, 2016. 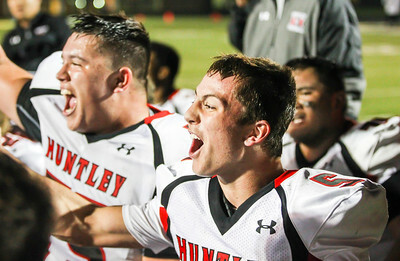 Huntley won, 21-20. 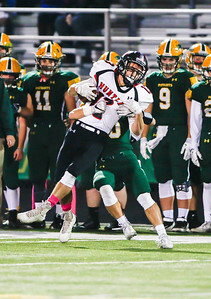 Sarah Nader - snader@shawmedia.com Huntley's Alec Coss catches a pass during the first quarter of Friday's Class 8A playoff football game against Stevenson in Lincolnshire Oct. 28, 2016. Huntley won, 21-20. 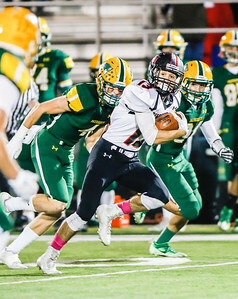 Sarah Nader - snader@shawmedia.com Huntley's Alec Coss runs the ball during the first quarter of Friday's Class 8A playoff football game against Stevenson in Lincolnshire Oct. 28, 2016. Huntley won, 21-20. 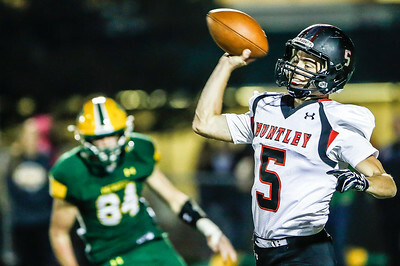 Sarah Nader - snader@shawmedia.com Huntley's Eric Mooney throws a pass during the second quarter of Friday's Class 8A playoff football game against Stevenson Oct. 28, 2016. Huntley won, 21-20. 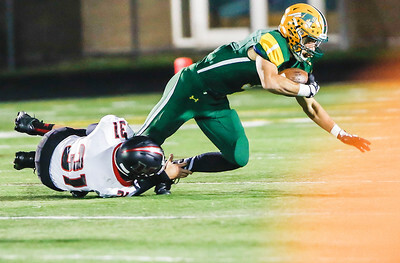 Sarah Nader - snader@shawmedia.com Huntley's Eric Mooney (left) pushes off Stevenson's Brandon Crawley during the second quarter of Friday's Class 8A playoff football game in Lincolnshire Oct. 28, 2016. Huntley won, 21-20. 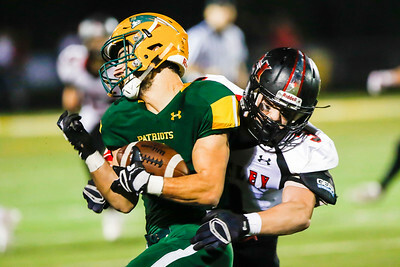 Sarah Nader - snader@shawmedia.com Huntley's Jake McGovern (left) takes down Stevenson's Anthony Sibo during the second quarter of Friday's Class 8A playoff football game in Lincolnshire Oct. 28, 2016. Huntley won, 21-20. Sarah Nader - snader@shawmedia.com Stevenson's Anthony Sibo (left) is tackled by Huntley's Tyler Szekely during the second quarter of Friday's Class 8A playoff football game in Lincolnshire Oct. 28, 2016. 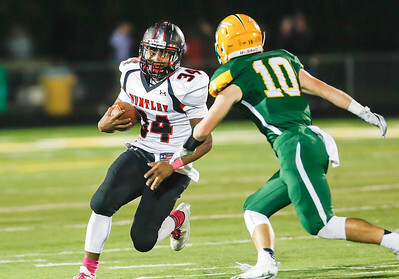 Huntley won, 21-20. 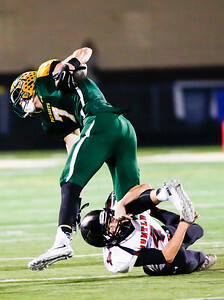 Sarah Nader - snader@shawmedia.com Huntley's Brandon Zoeliner tackled Stevenson's Henry Marchese during the third quarter of Friday's Class 8A playoff football game in Lincolnshire Oct. 28, 2016. Huntley won, 21-20. 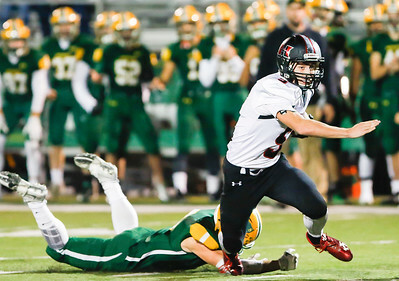 Sarah Nader - snader@shawmedia.com Huntley's Eric Mooney runs the ball during the third quarter of Friday's Class 8A playoff football game against Stevenson in Lincolnshire Oct. 28, 2016. Huntley won, 21-20. 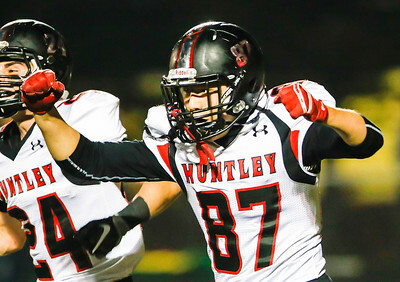 Sarah Nader - snader@shawmedia.com Huntley's Michael Talesky celebrates his interception during the sfourth quarter of Friday's Class 8A playoff football game against Stevenson in Lincolnshire Oct. 28, 2016. Huntley won, 21-20. Sarah Nader - snader@shawmedia.com Huntley players walk off the field after winning Friday's Class 8A playoff football game against Stevenson in Lincolnshire Oct. 28, 2016. Huntley won, 21-20. Sarah Nader - snader@shawmedia.com Huntley's Eric Mooney (right) celebrates with his team after they won Friday's Class 8A playoff football game against Stevenson in Lincolnshire Oct. 28, 2016. Huntley won, 21-20. Huntley's Jake McGovern (left) takes down Stevenson's Anthony Sibo during the second quarter of Friday's Class 8A playoff football game in Lincolnshire Oct. 28, 2016. 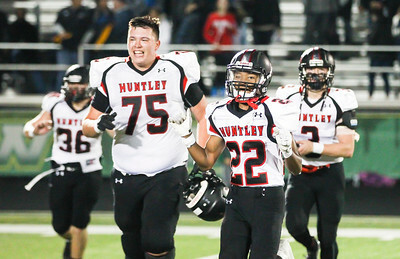 Huntley won, 21-20.